Although that may not be the prettiest food picture you’ve seen, let me tell you, don’t judge a book by its cover. 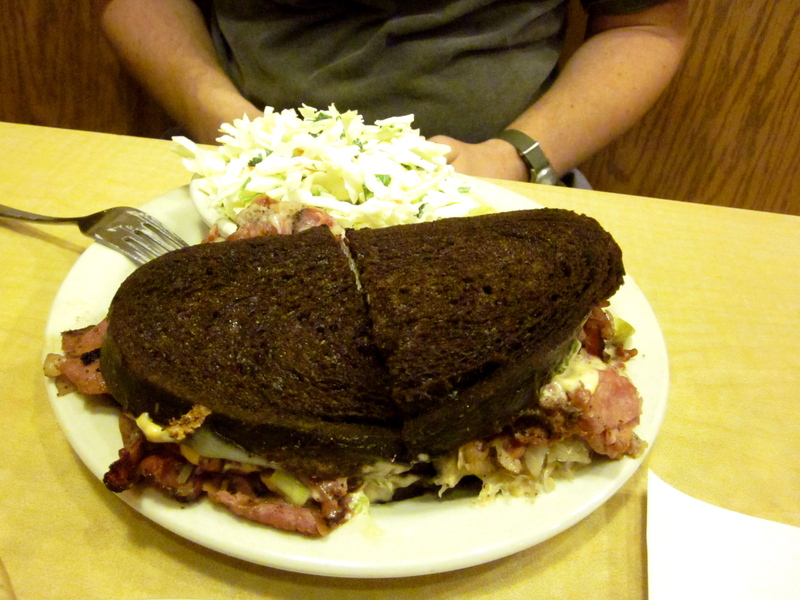 This sandwich is called Just Like New York from Cecils Deli in St. Paul. I have never liked coleslaw. I found it too soggy and mayo-ish for my liking. I like coleslaw now JUST BECAUSE of Cecils. It was fresh and had lots of crunch to every bite. The onion roll was fresh and had good pleasant onion flavor.. 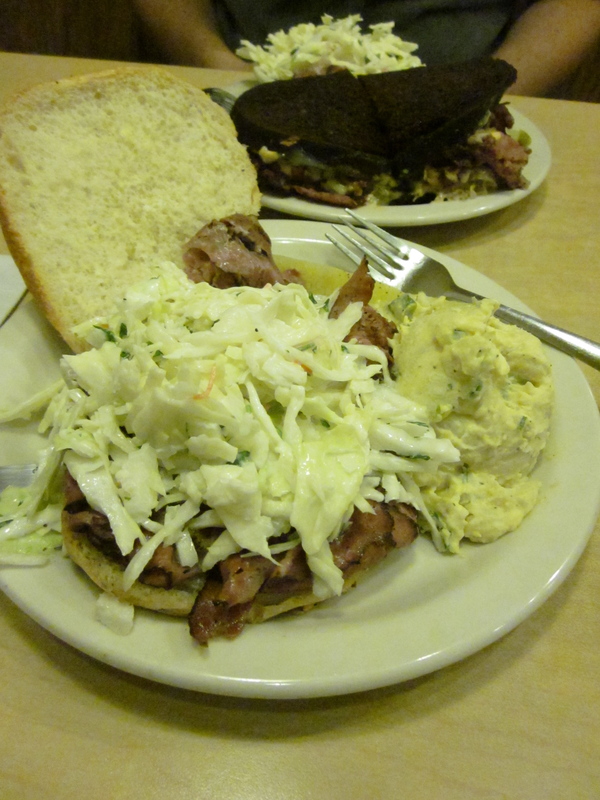 The pastrami… I could just eat that pastrami for the rest of my life.